We have our own state of the art wetlab. 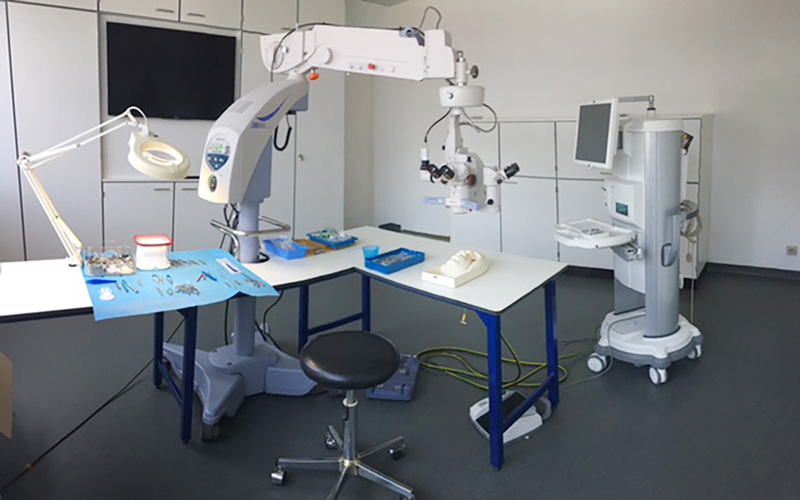 Our surgery product specialists are pleased to welcome you for some hands-on sessions to practice or try new products for cataract surgeries. We offer a wide range of ophthalmologic equipments. In order to be updated on the latest technological advances, we organize workshops, courses or dedicated symposia on a regular basis. If you want to be informed, please follow us on LinkedIn. We hire and train our service engineers to the highest standards to guarantee a fully certified service for every product distributed. De Ceunynck Ophthalmology as part of De Ceunynck Medical Group, prides itself on providing attractive and flexible financing solutions through its own financing arm and/or specialized partners in healthcare financial solutions.